Alcatel is a brand known for entry level phones products and here that the company does not denies, on featuring handset OT-808. We are looking at a terminal with great functions. 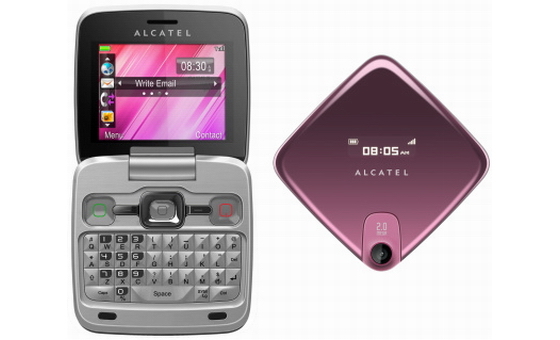 According to the manufacturer of Alcatel OT-808, the terminal comes with a feeling and look as a netbook and it is equipped with a full QWERTY keyboard, a 2.4-inch QVGA internal display and monochrome external one of 1.1 inches (OLED) with a resolution of 128 x 36 pixels. Among specifications of the handset we could includes social networking functions, email, instant messaging, web browser Opera Mini and FM radio. 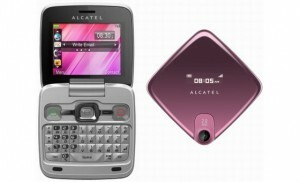 New Alcatel supports Bluetooth 2.0 and dual-band GSM connectivity, and in part to the rear you will find a 2 megapixel camera. OT-808 costs $ 125, but its launch date is not known yet.